An evening with Manta Ray. 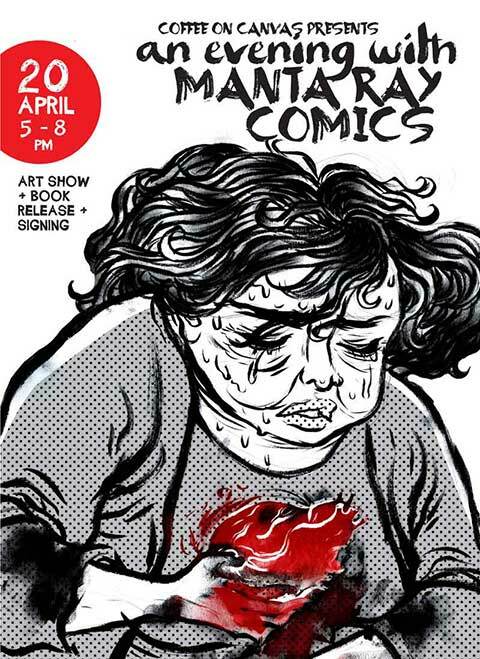 Manta Ray Comics will release print editions of their Mixtape 1 and Twelve: Preludes books in Bangalore on Saturday, April 20. Hosted by art café Coffee on Canvas, the book launch will be accompanied by a showcase of the original art from both books, along with a book signing/sketching by the creators of all seven stories featured in the books. “This is the first Edition Zero release of our comics. Edition Zero is a super-small limited edition print of 100 copies. It’s our love letter to print, and each release will be accompanied by original art and prints and the creators of the comic, so this the rare chance to get signed and numbered copies of these comics. We are definitely going to have more Edition Zero events like this in the coming months, in Bangalore and, if possible, in other cities too. Don’t miss the event if you’re going to be in Bangalore this weekend! Before you go, you might like to read our interview with the creators of Mixtape 1, or an older interview we did with the founders of Manta Ray Comics about Twelve and their debut graphic novel Hush.